Every day, you meet a number of strangers – from the cab driver to the grocery guy to the woman who makes your latte. Most of the time, you barely acknowledge their presence because you are uneasy talking to strangers. It’s natural to feel awkward around strangers, but what you need to remember is that all the people you know today would have been strangers at some point in time. Strangers come with an opportunity to learn something new, share stories that inspire you, and give you the chance to explore their part of the world. Sometimes, strangers may open doors to unexpected opportunities in your career and life. The art of striking up a conversation with new people can be mastered with practice. Add to that a few of these techniques, and you’ve got a surefire formula to succeed. 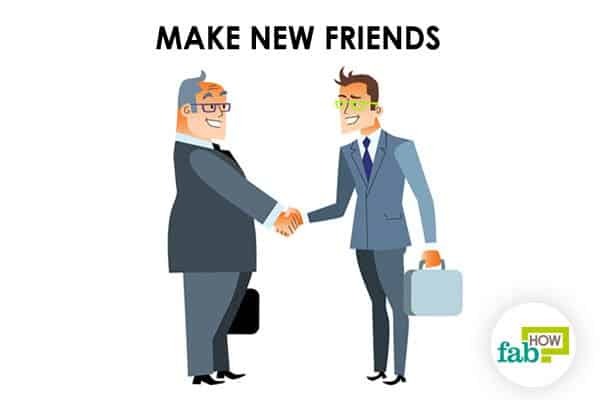 You will be on your way to building connections and making new friendships. 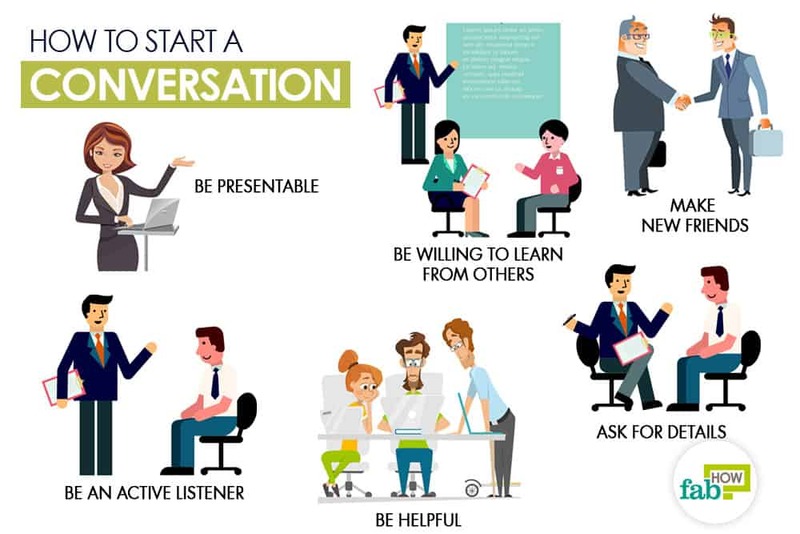 Follow these tips to learn how to start a conversation with anyone. 1. Be presentable. Avoid going out in public without bathing or cleaning yourself up. You don’t want people to remember you for your smell. Looking presentable makes you more approachable. When you look good, you feel good and comfortable in your skin. That in itself raises your confidence to start a conversation. 2. Stay up-to-date with current affairs. Keep yourself informed of news and events around the world. Discussing current affairs is one of the best ways to ensure interesting conversations. It can come in handy when you are in need of a conversation starter. 3. Be courteous. Everyone appreciates good manners. When meeting someone new, say “Hello,” ask “How are you today?” and remember to smile. When the encounter is more personal, give a firm handshake. Always remember to say ‘thank you’ and ‘please’ whenever possible. 4. Look for opportunities to meet people. Be open to meeting new people whenever possible. Attend social events and take advantage of opportunities to socialize. You cannot meet people if you keep yourself confined to your office or home all day. 5. Make new friends. Think back to how you made the friends you have now. It was natural: effortless and easy. At that time you may have entered the situation relaxed, confident, and open to new people. Try that again. Be yourself (relaxed, confident, and open) and when you approach a new person, see it as an opportunity to make a new friend. Share a personal story that relates to the situation. It is a great way to connect. 6. Be genuine. Be genuine in your approach. Putting on a false front to have a successful conversation will backfire most of the time. People can sense your intentions. 7. Look for nonverbal cues. Look for nonverbal cues during the conversation. Examples of nonverbal cues are eye contact, posture, and hand movements. You will be able to gauge how the person is feeling and their level of interest by paying attention to nonverbal cues. If the person appears uncomfortable in the conversation or not interested any longer, shift gears and prepare to move on. 8. Weave in stories. 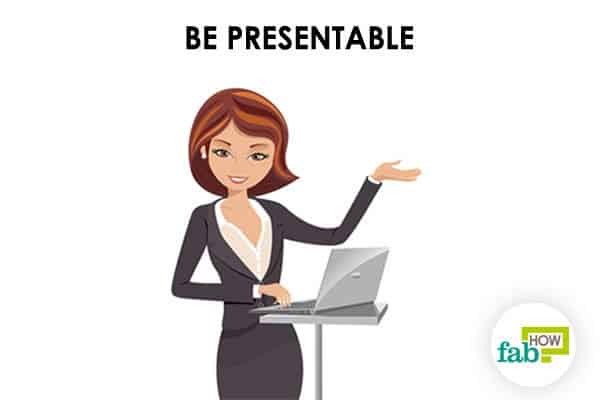 Share interesting stories or experiences from your life to captivate and involve people in your conversation. When you share stories, you open yourself up to certain vulnerabilities. This is the very thing that scares people and the very thing that binds people together. The sharing of stories is not only facts but feelings. It allows us to build deeper connections and validates our very being. The result is greater self-confidence and self-esteem. 9. Greet people with an open-ended question. Start conversations with a question like, ‘How’s your day going?’ When you start with such a question, it prompts people to answer verbally rather than smiling or simply nodding. Give the person time to respond to the question and pay attention as they respond. 10. Ask for details. Most of the time, conversations with strangers remain limited to just basic topics, which tends to be boring and can turn into a conversation stopper. Instead, ask for details. 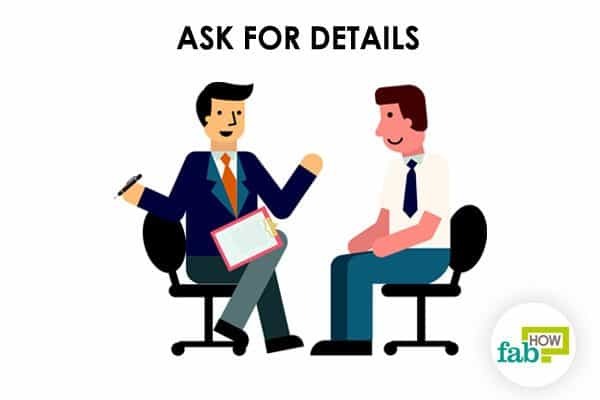 Ask personal questions like, 'Where are you from?’ or ‘Do you like this place?’ Be genuinely interested in getting to know the person, and you won’t have to make much of an effort to come up with questions. 11. Be an active listener. Too often when meeting someone new, people tend to talk just to fill the awkward pauses in a conversation. Listen intently. Be whole-heartedly present in the conversation. When you listen carefully, you’ll learn more about the person’s life, interests, and hobbies. Listening will also help you identify things you have in common. Building a rapport around a common interest can be an important foundation for any relationship. 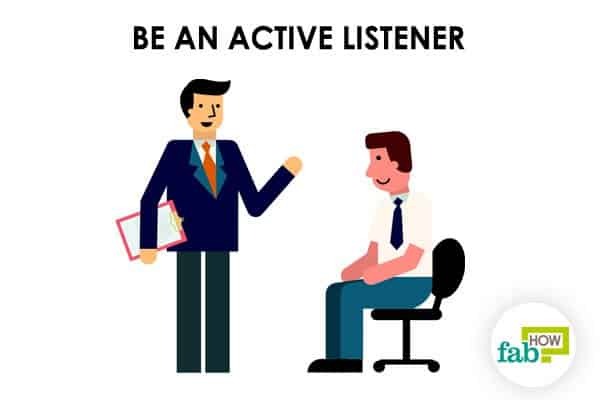 The more actively you listen in a conversation, the more it will help you to start a conversation when you meet the person again because you will remember common interests. 12. Be helpful. Your goal should be to help the person. If someone is new to your area and they are a pasta lover, you can help them by telling them where they can find the best pasta in the city. People usually open up and start sharing details when they sense that your motivation is pure to help them. 13. Restate what you heard. Restating what you think you heard allows you to clarify what the person has told you and to understand them fully. It shows the other person that you were actively listening to them, and it validates their feelings. 14. Request a favor. This may sound a little cliché, but most of the time it works. Asking for simple requests can be a great conversation starter. Requests like, ‘Do you have change for a dollar?’ or ‘Can you tell me the best place to get coffee here?’ can break the ice and make people talk to you. 15. Give them a unique compliment. People may forget your words, but they are unlikely to forget how you made them feel. Give a unique but genuine compliment when you meet someone new. People can be immune to certain words. For instance: If someone is beautiful, they might be immune to the words ‘beautiful’, ‘gorgeous’ or ‘pretty.’ Avoid stating the obvious. Instead, try saying ‘I like the way you smile with your eyes.’ The compliment should be something that would be hard for them to forget. 17. Be open to debate. Don’t assume that people will agree with you on every subject. 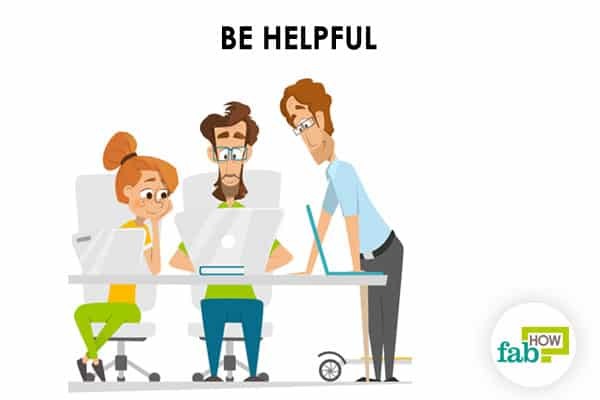 Say you are opposed to changes in your neighborhood or workplace, or you have an inclination toward a particular political party, you may conclude that the person you are talking to will feel the same and agree with you. But remember, everyone’s entitled to their own opinions and debates which makes the conversation enjoyable and even enlightening. 18. Be willing to learn from others. Talking to a new person can give you a new perspective. They can offer you interesting insights and knowledge about other religions, cultures, and nations. Or you may learn new ways of doing things in your occupational field. If you show genuine interest, people will open up to you, and the conversation can actually leave you enriched. 19. Remember things about people. Try to remember little details about the person with whom you are talking. Beyond remembering their name, remember things about their family, their last vacation, places they wish to visit, their profession and so on. If you remember little details, the next time you see them you won’t have to struggle to find things to talk about. 20. Don’t feel bad if people don’t remember you. If you are meeting someone you’ve met before and that person doesn’t remember you, don’t feel bad about it. Reintroduce yourself, reminding them what you both have in common or where you first met. This can be a great conversation starter and also help them remember you in the future. 21. Avoid being judgmental. You may be tempted to judge the person by what you hear and see. But avoid judging people. If you start judging them, they will sense it, and it will make them self-conscious. It will surely end your conversation and make you less approachable in the future. 22. Avoid eating alone whenever possible. When in a social setting, avoid eating all by yourself. If you are at a party where you hardly know anyone, you may have a tendency to go to a corner and start eating alone. Meals and hors-d'oeuvres are great conversation starters. Instead, try to find someone who might be looking for company at the party. Sit down and start interacting. 23. Be persistent. Sometimes, you end up meeting people with whom you just cannot connect or with whom things did not go quite well. Don’t let that incident deter you from connecting with or meeting new people. Don’t get discouraged by one setback.